Travis Scott has spent the last five years solidifying himself an innovator and veteran. From his first mixtape Owl Pharaoh, he’s continued to create sonic trends and explore territories that other rappers dare to tread in. Travis is so undeniably good that even though he’s dropped a project every year since 2013, it feels as if we’ve been waiting an eternity for his third solo album Astroworld. But finally, it’s time to commence lift off and venture into the fires of La Flame once again. In celebration, we’ve decided to look back at seven of Travis Scott’s most underrated tracks in his discography. With a hit-after-hit catalogue, it’s easy for the mixtape and album cut to get overlooked. Nonetheless; these cuts are fire. ‘Basement Freestyle’ is often overlooked in Travis Scott’s discography but is one of his hardest hitting bangers. Serving as one of the very many tunes on the critically acclaimed mixtape Days Before Rodeo, ‘Basement Freestyle’ is a high-energy track designed for the mosh-pit. Travis Scott switches flows throughout his rapping and autotuned crooning, as he expresses his journey from the basement in a concoction of pure rage. Lex Luger and Metro Boomin handle duties behind the deck, pairing 808s with jittery synth bleeps. It’s Travis Scott at his most high-octane, even if it is underrated. ‘Impossible’ is one of the more moody tracks off of Travis’ debut album Rodeo, and it often gets lost in the sea of blockbuster singles that are on that record. However, it contains Travis Scott in an ambitious, dreamy state. The song is low-key, with the song flourishing in reverb-soaked keys and watery bass lines; courtesy of producers Allen Ritter, Mike Dean, and La Flame himself. Travis reverts to his usual autotune-drenched melodies but heads into stream-of-consciousness territories with his voice on the hook; signifying that this isn’t his usual type of track. It may not be as immediate as hits like ‘Antidote’ or ‘3500’, but it shows that Travis isn’t afraid to experiment. ‘Hell Of A Night’ features a young Travis Scott channelling his inner Kanye. It starts with Travis singing over a soul-sample based boom bap beat laced with synths, before transitioning into a distortion-heavy, Yeezus-esque breakdown. Here, is when Travis Scott drops the autotune and lets the bars come loose. He tells a tale of partying and fame in an almost dystopian tone; describing the greasiness of the Hollywood life. Its flourishes on grandeur make it sound like something that could have landed on My Beautiful Dark Twisted Fantasy. 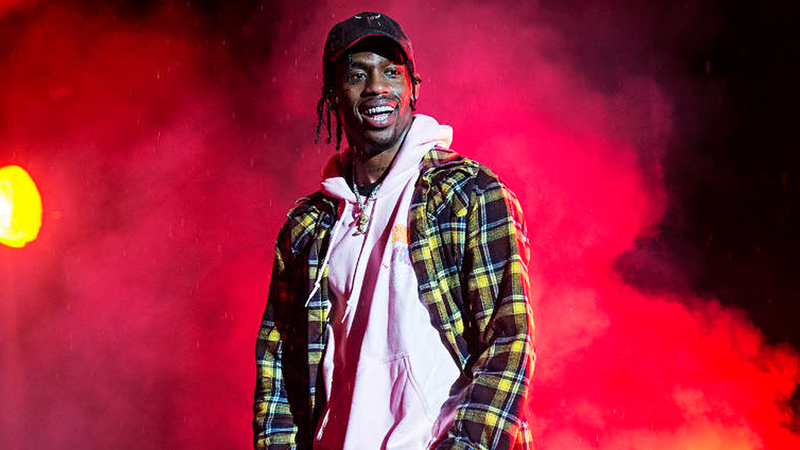 ‘Hell Of A Night’ may sound a lot different than some of the sounds Travis Scott chases now, but it showcased his potential to the world. ‘Maria I’m Drunk’ is a hidden gem; and one of Travis Scott’s best songs to date. It appears on Rodeo but isn’t available on streaming services. It’s a melancholic, druggy anthem that features Travis and Young Thug crooning about getting drunk. The beat features eerie detuned synths and a thumping sub, with a minor bassline chirping in and out to add extra groove. Travis Scott and Young Thug’s chemistry is undeniable; as their melodies intertwine in moments of true beauty. There’s even a Justin Bieber verse, where he rap-sings in a Swae Lee-like manner. It’s catchy, ambitious, and fire! ‘Drugs You Should Try It’, much like ‘Maria I’m Drunk’, is an ethereal cut about delving into the world of illicit substances. It features soft, psychedelic guitar plucks that flurry over trap-inspired drums, and that blend in with Travis Scott’s vocals. The influence of Kid Cudi rings throughout the song’s duration, however, Travis takes this vibe into darker territories. ‘Drugs You Should Try It’ is a testament to Travis’ ability to move outside of trap and make something boundary pushing and original. ‘Uptown’ was one of the singles for Travis’ debut mixtape Owl Pharoah, but faded into the background on Travis’ journey to stardom. The song is almost demonic, as Travis Scott and Asap Ferg are at their most aggressive and animated over warped, manic synths. Their chemistry is undeniable, as their cadences and flows switch over and over again on the distorted production. It’s a dense, dark, and grimy hip-hop canticle that foreshadowed a bright future for Travis, solidifying him as more than just your average rapper. ‘Nothing But Net’ is a loosie Travis Scott dropped on Soundcloud before the release of Rodeo. It’s a dark and minimalistic trap slapper, showing Travis’ ability to mix left-field sounds with contemporary trends. Boi-1da handles production, mixing heavy 808s with horror move-like synths and atmospheric effects. Young Thug handles both the first verse and the hook, while PARTYNEXTDOOR chimes in the bridge; their voices perfectly compliment the eerieness of the production. However, things really peak when Travis comes in on the second verse, with triplet flows that grow in energy and enthusiasm with every bar. ‘Nothing But Net’ may be a B-Side, but it’s up there with some of Travis’ best work.